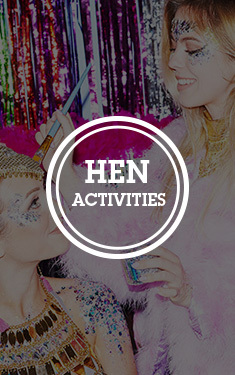 Metallics have their time and place, but sometimes it’s nice to embrace your traditional hen party colours, and go all-out pink on your do. 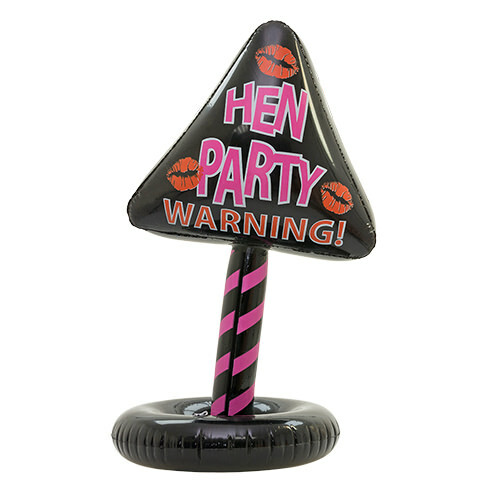 When kitting out any lavish hen party venue, you may have the balloons, banners and bunting, but adding that cherry on top definitely comes in the guise of a fan. 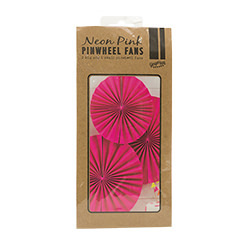 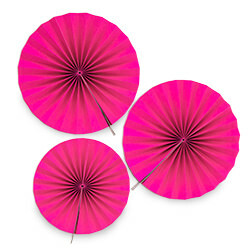 These perfectly pretty neon pink fans are a gorgeous, eye-catching concertina style and will look beautiful when hanging from any wall, table or chair. 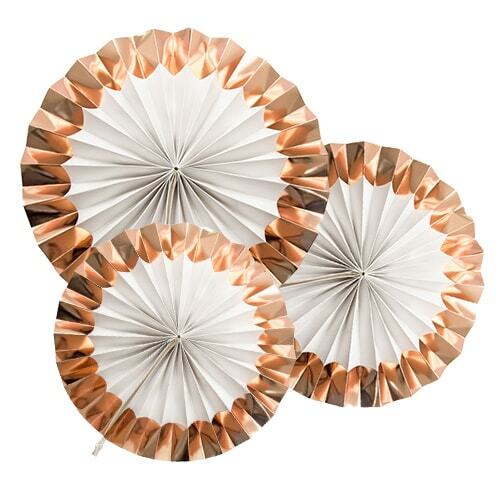 Creating a lovely backdrop for those inevitable (hundreds of) hen party selfies, pinwheel fans are a must.